Next week is a big one for avalanche awareness here in the Mt. Hood region. 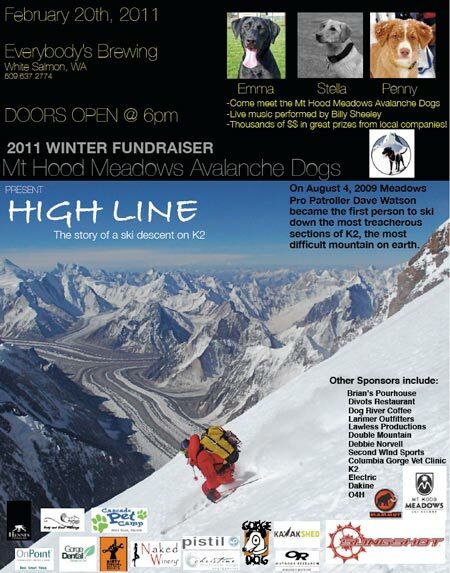 It all starts Sunday the 20th with an avy dog fundraiser out in White Salmon. Then, on Monday, Meadows is selling special lift tickets to raise money for the Friends of the Northwest Weather and Avalanche Center. 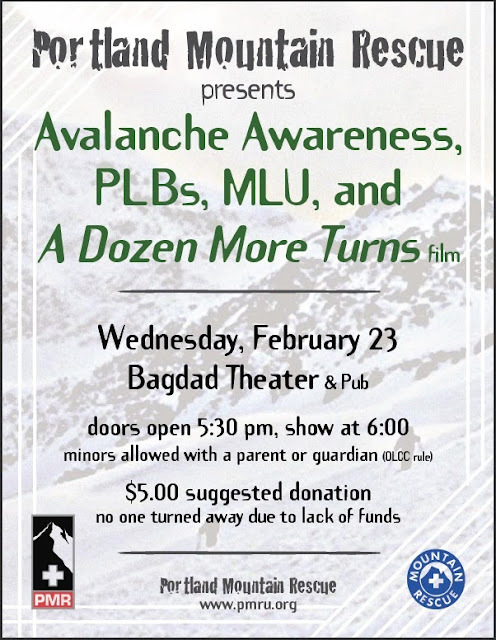 Finally, on Wednesday the 23rd, Portland Mountain Rescue is hosting two lectures and a movie on avalanche safety at the Bagdad Theater in Portland. So much more than cute little puppies. I've always been more of a cat person, but if it can find me under a couple feet of snow, I'm willing to give any animal a chance. Come meet the Mt. Hood Meadows avy dogs at Everybody's Brewing in White Salmon, WA (right across the Columbia from Hood River). Also on tap for the night is an account of Meadows pro patroller Dave Watson's descent of K2. Yup, the second highest mountain in the world. Respect. Doors at 6:00, bring money for beers and raffle tickets. Stomp your feet to Billy Sheeley after. Details. 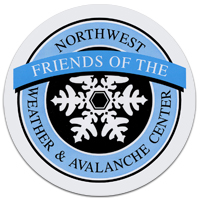 If you've ever been outside in the mountains in the northwest, you should know who the Northwest Weather and Avalanche Center (NWAC) is. If you don't, let me put it to you simple: they deliver the most accurate and comprehensive weather and avalanche forecasts from Mt. Hood up to Mt. Baker. Problem is they are woefully underfunded. Mt. Hood Meadows is doing a little to try and help. Monday nights, Meadows usually closes at 4:00. This Monday, Presidents Day, they're offering a $10 ticket good from 3-9pm. A night pass is usually $29. All proceeds go to Friends of NWAC. If you don't want to stay up late on a work/school night, drop a couple dollars in the hat over at NWAC's site. Talk about an overworked and under-appreciated lot. Portland Mountain Rescue, the guys who save you when you're doing the things you probably shouldn't be, are throwing a bit of a bash on Wednesday the 23rd. 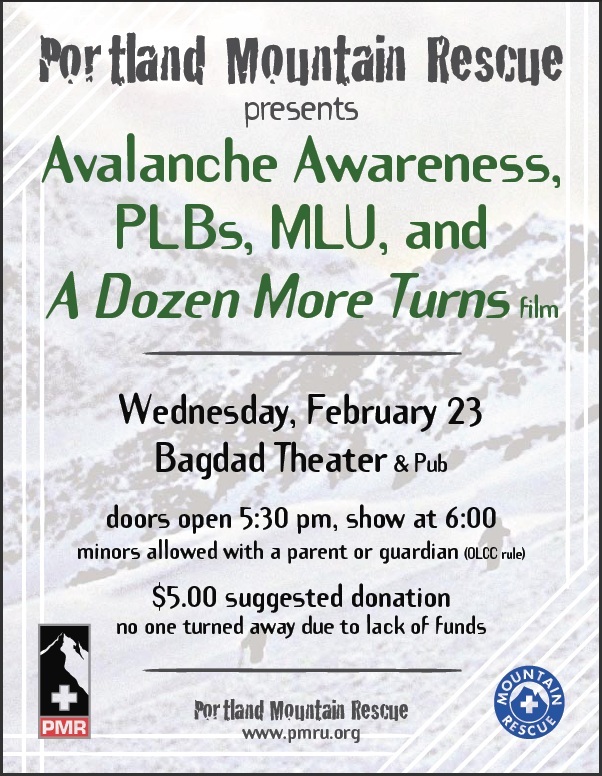 They'll be giving two lectures, "Avalanche Awareness and Backcountry Safety" and "The Mountain Locator Unit, Personal Locator Beacons, and the Spot," as well as screening the movie, "A Dozen More Turns." Having seen that film, I can attest to its power. Anyone interested in backcountry riding would do well to check out this night of edu-tainment. Come on, it's only $5. Movie and a drink for the price of a movie. If by next Thursday you're not ready to buy a pack, beacon, probe and shovel, then maybe you never will. Or maybe you got scared serious. Or maybe you just didn't check out all the avy-tainment afforded to you in such a small area and period of time. The amount of information and entertainment you can get for $25 in the following week is straight up staggering.